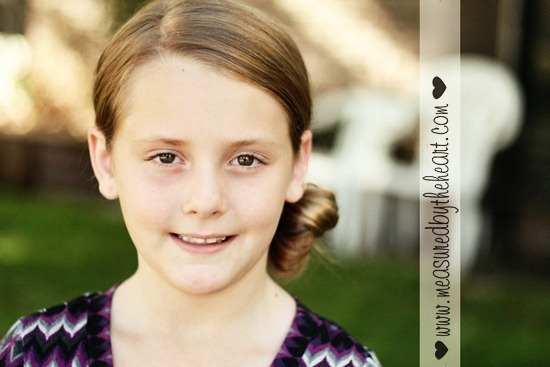 We love Connie at Measured by the Heart and her fabulous hairstyles! In case you missed her previous guest posts, make sure to check out the beautiful pulled hairband tutorial and her waterfall twist tutorial! 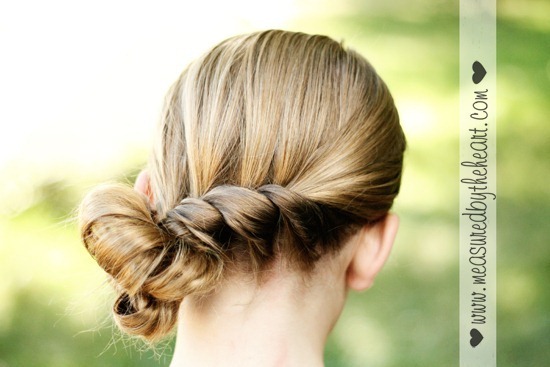 Create this beautiful, simple “low side bun” look in the front…and in the back show off this gorgeous twist style! You might also love her Flower Bun with Weaved Ribbon tutorial!